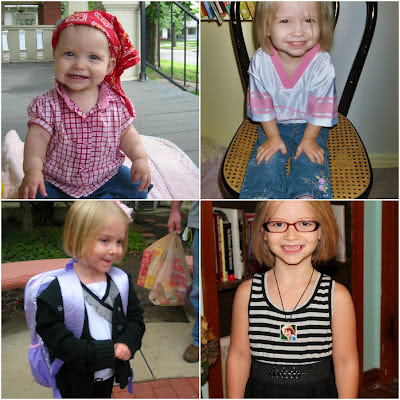 Happy Seventh Birthday, Big Sis! 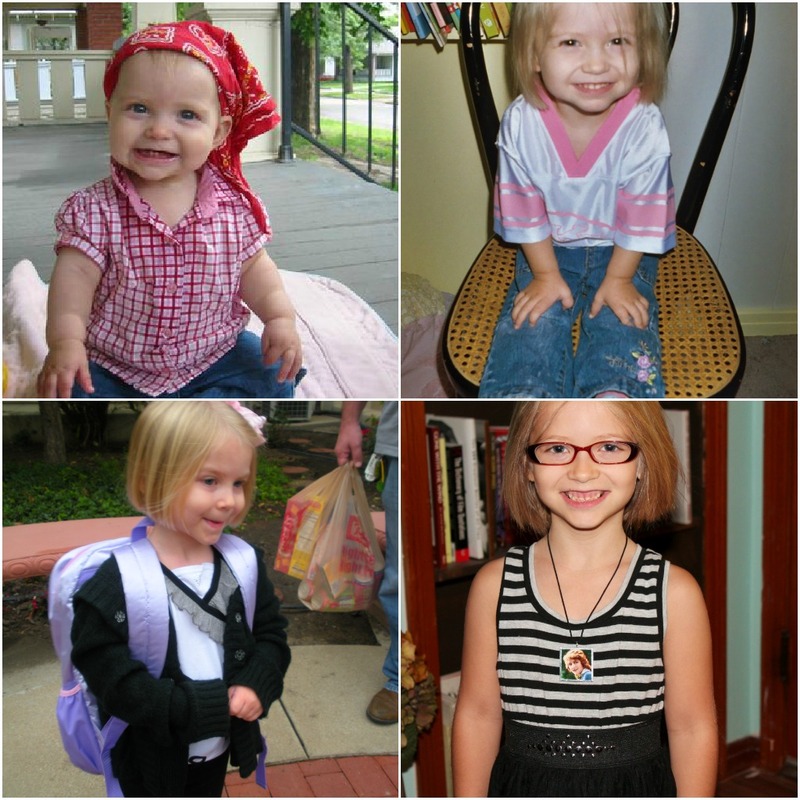 My first-born through the years: at 9 months, 2 years, a few days before her 4th birthday (first day of preschool!) and now. We're bringing cupcakes to her class near the end of the school day, but while we're at home, we are working on bringing an over-the-top big top shindig to life. And I must say, this is the last one for a long time. Big party, I mean. And the dollar section of Michael's was very handy, too. My friend Wendi, who is making Big Sis's cake and cookies, gave me heads-up last spring. Masks, paper lanterns, blank books, and goodie bags from the $1 section of Michael's. We also hit the party supply section of Target. I love the new Spritz line of party stuff, and honestly, I'm relieved to not make a paper banner this year. Circus party supplies from Target. 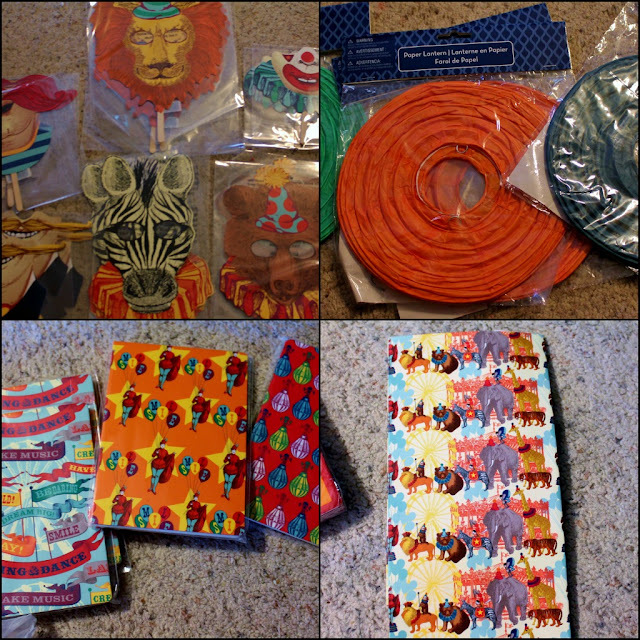 And last, I placed an order with Oriental Trading Company. Circus stampers, banners, stickers, and circus-theme rubber duckies from Oriental Trading. We didn't get everything at once. I've been stocking up since spring. We are, however, making everything at once because we're CRAZY. oh WOW!!! Happy day to the big girl!!! 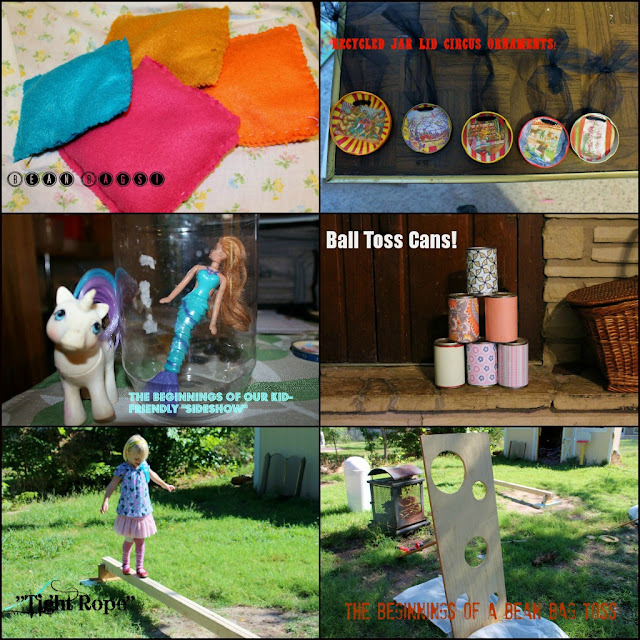 This all looks amazing and if she doesn't quite appreciate all the work cuz she's a kid....well I do!! I hope! I just painted the bean bag toss. I'm not much of an artist, but I can do balloons. Happy Birthday to big sis! Have a wonderful celebration!!! It looks like it's going to be incredible!!! Thank you, Robyn! We hope so!